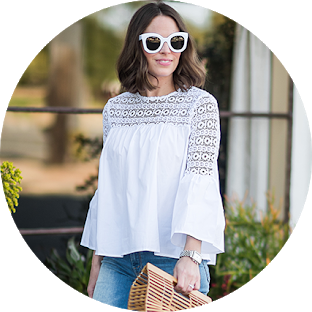 Are you sick of hearing about the Nordstrom Sale yet?! Sorry. But it’s just.so.good. Except for the fact that a lot of merchandise is sold out already. Some is being restocked so keep checking back on the items you may have missed but still want! I wanted to do a quick post on my shoe round up for you guys since I’ve had a lot of questions asking about which shoes I purchased. 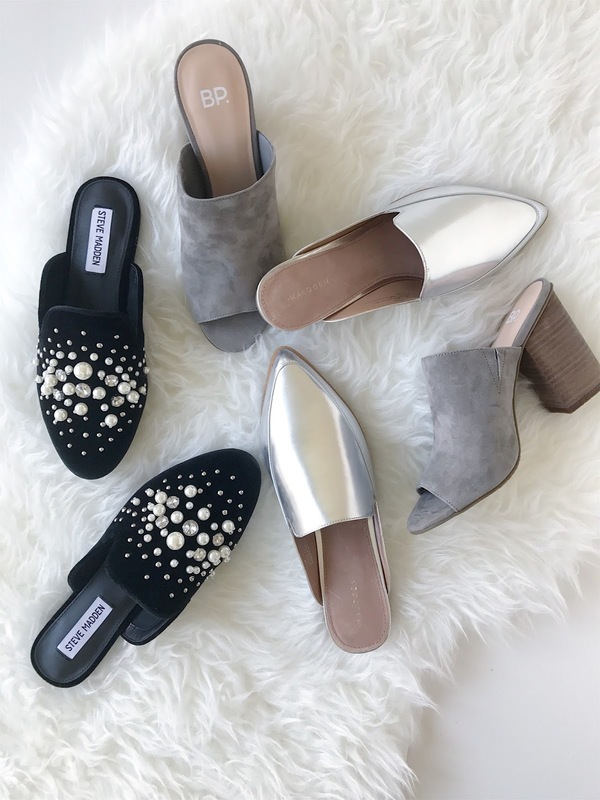 My strategy for the sale is to buy now, return later because of how quickly things sell out so I bought the shoes I thought were either missing in my wardrobe (mules) or needed an update on (gym shoes). I invested in boots last year so I passed on that category but I was ready to get behind the mule trend and try a pair out (especially considering the pair I liked were on sale for $49). I’m happy to announce that these grey ones are very comfy and look a lot more expensive than their price tag. I also wanted to try a fun pair of slides. Slides are great to throw on and since embellished everything is so huge right now, they’re a perfect way to jazz up a low key outfit. These black ones are SO COMFY and the pearls and rhinestones don’t look cheap which I was nervous about. This Fall and Holiday Season they’ll be so fun to style. Keepers! Next, I purchased these silver slides. Unfortunately they’re going back. They are extremely stiff and have zero give to them. Cute doesn’t cut it if you’re getting blisters! I always snag a pair of athletic shoes on this sale and was super excited to do so this year since I’ll be able to work out again in a few months. When I got these in the mail though, Austin sweetly reminded me that I have two pairs of black Nikes already. Oops. So I think I’ll exchange them for these which are much more colorful, lol! There you have it!